The Grand Canal of is the longest ancient canal or artificial river in the world. Starting at Beijing it passes through Tianjin and the provinces of Hebei, Shandong, Jiangsu and Zhejiang. The oldest parts of the canal date back to the 5th century BC, although the various sections were finally combined into one during the Sui Dynasty (581–618 AD).The total length of the Grand Canal is roughly 1,770 km (1,114 miles). The canal's size and grandeur had won for it the admiration of many throughout history, including the Japanese monk Ennin (794–864), the Persian historian Rashid al-Din (1247–1318), and the Korean official Choe Bu (1454–1504).Historically, periodic flooding of the adjacent Yellow River threatened the safety and functioning of the canal. On some occasions, such as times of war, the high dikes of the Yellow River were deliberately broken in order to flood out advancing enemy troops. This caused disaster and prolonged economic hardships. 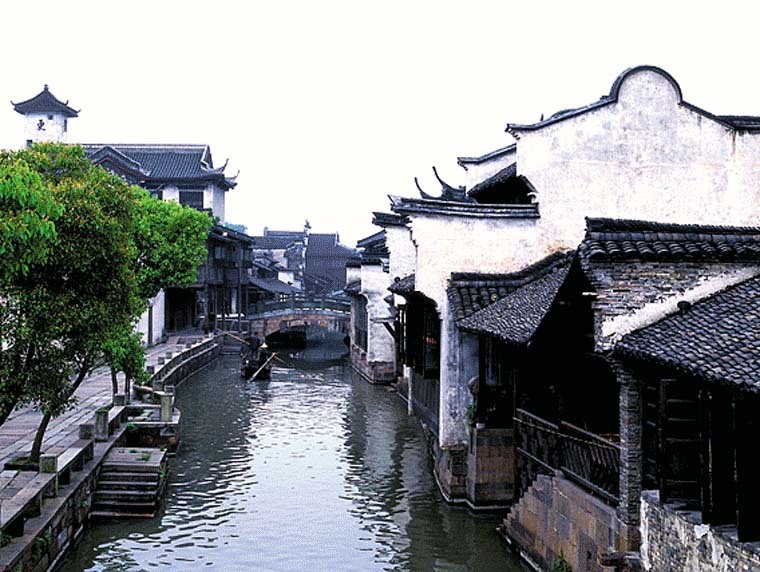 Despite temporary periods of desolation and disuse, the Grand Canal furthered an indigenous and growing economic market of China's urban centers throughout the ages since the Sui.